I know a dessert with canned peaches is very old fashioned, but having just come back from the fruit shop where new season peaches were selling for $15 a kilo, I think sometimes you have no choice. At least using amaretti biscuits modernizes the recipe a bit. 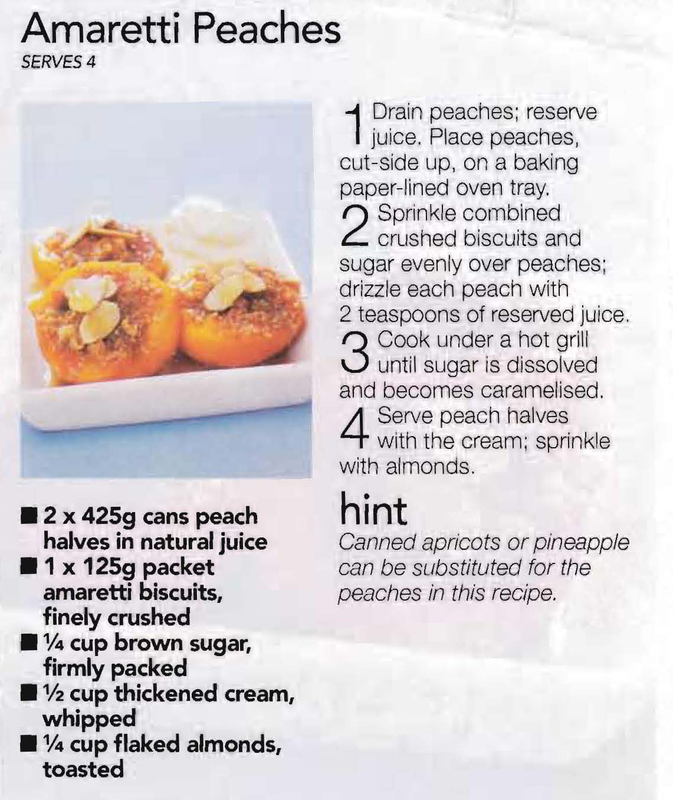 This entry was posted in All Recipes, Desserts and tagged 2000s, amaretti biscuits, Amaretti peaches, brown sugar, canned peaches, cream, flaked almonds by bebsrecipes. Bookmark the permalink.